Workday is transitioning from an HR and business finance software suite into a full enterprise resource planning (EPR) platform as it aims to compete with industry heavyweights Oracle and SAP. 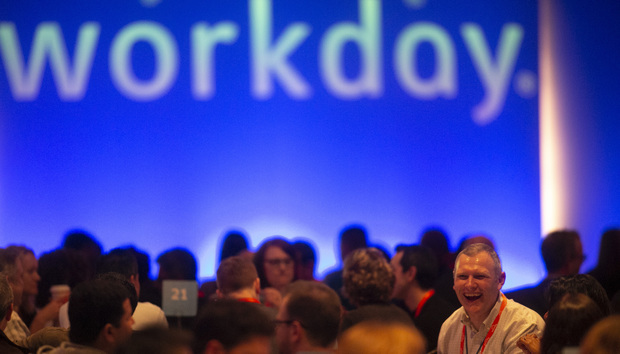 At the annual Workday Rising conference in Vienna, Aneel Bhusri, Workday's cofounder and CEO, explained how this makes them a threat to the established ERP vendors. Adaptive Insights had planned to go public before Workday swooped in to buy the cloud-based analytics, planning and collaboration company for $1.55 billion (£1.2 billion) two days before its scheduled IPO. Read next: Is Workday Planning the Excel killer? Bhusri - who was a senior vice president at PeopleSoft before it was acquired by Oracle - and Bogan are two old friends and emphasised that trust and a shared cultural focus on the customer during their keynote address. They were also both born in the cloud, which Workday believes gives it an advantage over its competitors Oracle and SAP, who are making the move while dealing with a vast legacy estate. Workday had also once been interested in acquiring the planning software vendor Anaplan, which recently went public, with Bhusri telling Computerworld UK in 2016 that: "Candidly, they have never been a great partner and we ended up getting into the space because we could not make a partnership with them and others work." Nigel Rogers, the global head of HR systems at FTSE 100 investment company Standard Life Aberdeen, told Computerworld UK that while he welcomed the addition of Adaptive Insights' capabilities, he had some concerns that Workday could forget what has made it a success. "Even Workday Finance was something I hadn't anticipated when we bought the product. In terms of ERP, I know Workday are talking about the large datasets and perhaps replacing business intelligence software. Maybe that's appropriate for their huge customers but for the vast majority of Workday's customers at the medium and small end it's not something that I think will ever be very important for us." Kerstin Rothermel, vice president, human resources, said the company made the move after searching for a "flexible, agile, and state-of-the-art HR system. After going live on Workday in record time, we're already seeing that self-service is reducing admin time for our HR staff so they can focus on their core business. All employees gain an intuitive user experience that does not require training, so they can request holidays, submit an expense report, or do their time-tracking without support." On the conference stage in Vienna, Workday also announced that it customers are now running its suite of applications in the public cloud for the first time on Amazon Web Services, a recent target for the bile of Oracle cofounder Larry Ellison. "Workday is fully committed to driving scale, high availability, flexibility, and an amazing cloud ERP platform for all of our customers - both on AWS and in our own data centres - for the long term," said David Clarke, Workday's senior vice president of technology development. Oracle has publicly dismissed the challenge on its website by emphasising the breadth of its cloud services and its advantage in multi-layer cloud security, embedded social collaboration and flexible cloud, but the public comparison acknowledges that there's competition. The focus on employees is another way in which Workday wants to distinguish itself from Oracle. Bushri called this the company's foremost value and can point to Workday's top spot on the Great Place to Work (GPTW) Institute's list of the best workplaces in the UK to back up his claim.